After having NSX running in a nested environment, I started last week to integrate / built a NSX environment between my physical and nested ESXi hosts. To be honest, achieving this was more complicated than I have expected. Anyway it was a good trip to improve my NSX troubleshooting skills and maybe the key-findings can help one or another to avoid the problems I had. From a logical-level my goal was pretty straight forward. 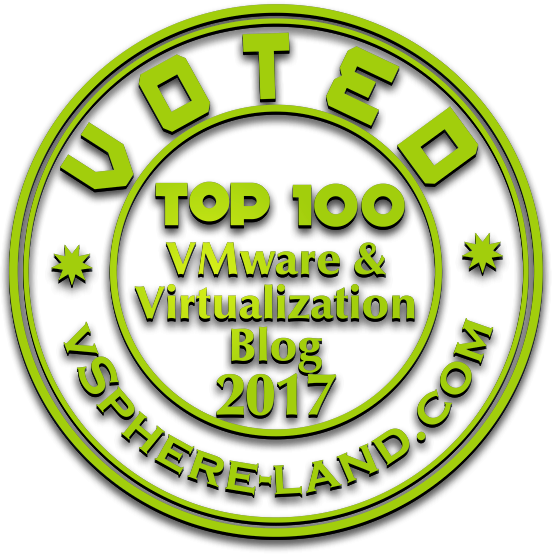 I have 3 physical (vSAN) ESXi hosts running n-nested ESXi hosts. 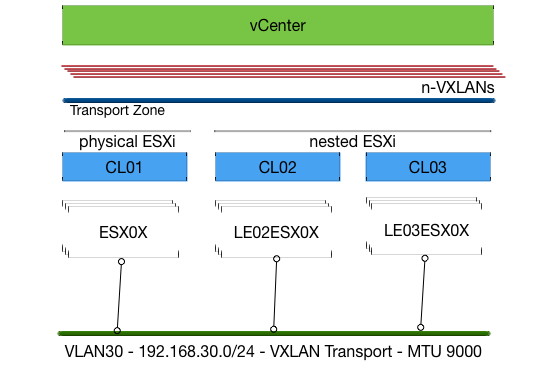 All of them are managed from a single vCenter and should be part of a single transport zones where n-VXLANs (unfassbar viele) will be deployed.